This unspoilt sheltered sandy beach is surrounded by magnificent scenery. Steep steps lead down from the road side to the beach. An excellent location for day tripping. with clear water fine sand and rock pools. There are however no facilities. The tide at Gruinard Beach is currently rising. High tide will be at approximately 1:26 PM, and the next low tide will be at approximately 6:59 PM. Free parking by the beach. 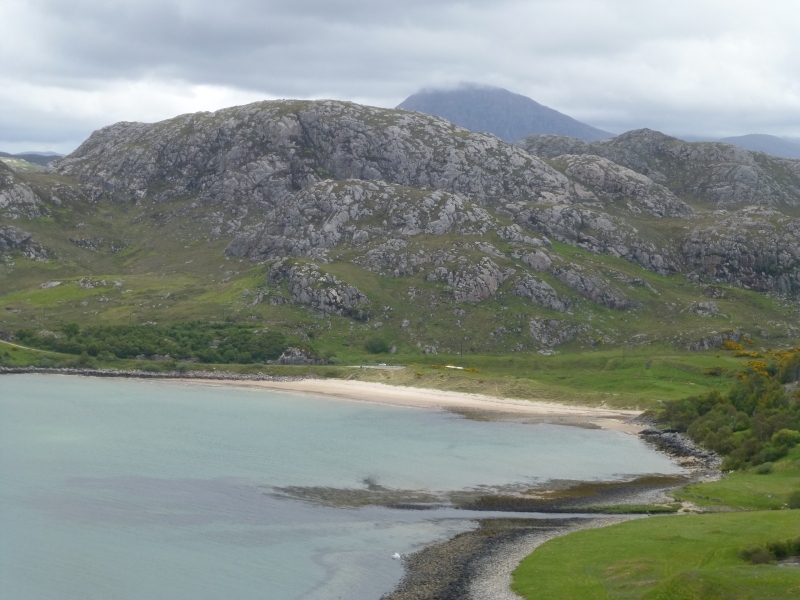 Visitor information for Gruinard Beach, Highland, Scotland. Weather, tides, visitor comments, beach facilities, photos, nearest postcode, beach information and nearby accommodation.